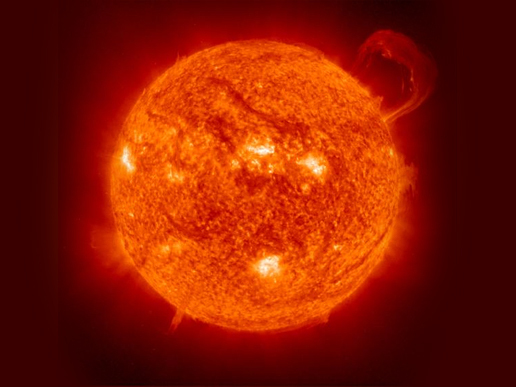 "2) One of the properties of CO2 is that it creates a greenhouse effect and, all other things being equal, an increase in its concentration in the atmosphere causes the Earth’s temperature to rise. This is just physics. (The amount of other greenhouse gases in the atmosphere, such as methane, has also risen steeply since industrialization, which has added to the impact of higher CO2 levels.)" More CO2; more heat. Simple. We humans are adding many millions of tons of CO2 to our atmosphere each day, so it's not a hard stretch to expect that eventually our world would retain more heat. Which it has. It's about 1 degree Celsius warmer now than at the beginning of the twentieth century. "1) The amount of carbon dioxide (CO2) in the atmosphere, after at least several hundred thousand years of remaining within a constant range, started to rise with the advent of the Industrial Revolution. It has increased by almost 40% and is rising each year. This is certain and straightforward." [This is the first in a series of daily posts I am drawing from Jeremy Grantham's Summer 2010 Investment letter. Mr. Grantham is on the Board of Directors of GMO LLC, a global investment firm with over $100 billion under management. Mr. Grantham takes a large, worldview perspective on investments--with an eye toward long-term trends. He is right-on about the impact of global warming. No one debates the rise in CO2--even the harshest skeptics. 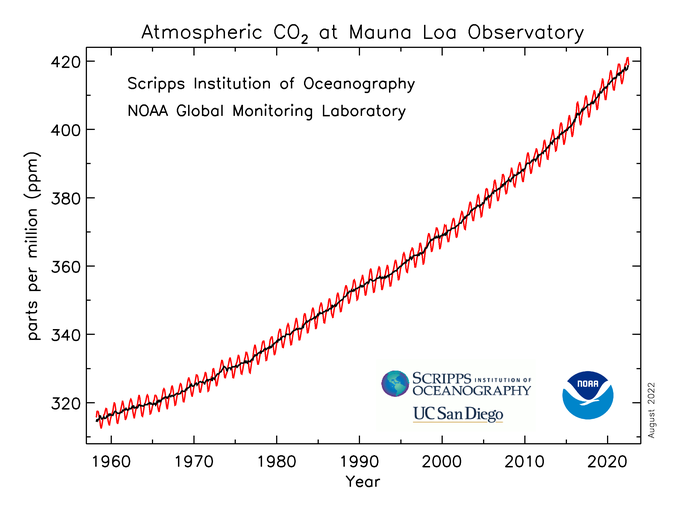 The Keeling Curve is probably the most well known graphic regarding global warming.Current CO2 atmospheric concentrations are above 390 parts per million. Pre-industrial levels were approximately 280 parts per million. Mr. Grantham's point that it is rising each year is correct. What is more concerning, however, is that the rate of increase is also increasing--that is, the rise in concentration of CO2 in the atmosphere is accelerating. Well here's an oldie but goodie: the Energy Star website. Proud disclosure: I worked on EPA's Energy Star programs from 1994 to 2000 (click my Bio link to the right for more about me). The EPA Energy Star is undoubtedly the most successful non-regulatory environmental program in the agency's history, and brand recognition of the Energy Star label is above 70%. Well, that's a nice encomium, but how about the web resources? One nice thing about Energy Star is that all the information is free and unbiased. There are resources for everyone from renters of studio apartments to owners of vast portfolios of buildings. The Energy Star Portfolio Manager benchmarking tool has become an industry standard and is now a required part of achieving certain LEED certifications. Energy Star provides an enormous number of tools and resources that provide real value for saving energy and money. The site is relatively simple--perhaps even boring in the new world of flash videos, pop-up screens and other features. But the information is top notch. If you have never visited the Energy Star website before, do it now. There is surely something there that you will find useful, will help you save energy, reduce your carbon footprint and probably save you money, too. expect that these smart people would be well on their way to solving the problems they inherited? Instead, the transit authority remains far better at articulating the problems than at solving them." Likewise with the invisible tunnel. If the rerouting of the trains across the Potomac instead of under it is a good idea, then quit talking about it and do it. Yes, deciding what to call it is an issue, but surely that is not what is keeping it from being implemented. Today's Washington Post printed a letter from Edward A. Urben, the General Manager and CEO of the Army Navy Country Club in South Arlington. This letter shows support for the County's request to obtain an easement that will allow bike/ped access from Arlington View neighborhood, under I-395, to Pentagon City. This is a long-sought connection. Please also see this related post from a few weeks ago, urging cyclists and others to support this connection. The Bike Snob can be acerbic and is very sarcastic and satirical, but all in all, wicked funny. He's probably funnier to people who are familiar with biking culture, but there's plenty to enjoy for all--even if you're not in New York. Warning: overly sensitive people might be offended by some content.